Home » What is narcolepsy? What are the common symptoms of narcolepsy and how is it diagnosed? Narcolepsy is not how it is generally portrayed in the media or movies. Yes, people with narcolepsy can struggle with staying awake, and do get muscle weakness or cataplexy, but they rarely fall asleep in their food or collapse to the ground completely unexpectedly. Symptoms of narcolepsy vary from person to person in their severity and what symptoms are more troubling, which is one of the factors that can make diagnosing and managing narcolepsy challenging. Narcolepsy is actually reasonably common, occurring in around 3 in 10,000 people. Common symptoms of narcolepsy include those listed below. I find that there is a lot of variation in symptoms people describe and how they describe them, so it’s uncommon to see people who have all of these symptoms all the time. Most people I see have some or most of these symptoms, but may only have some of them from time to time and the symptoms that trouble them the most can vary from person to person. Sleepiness: People with narcolepsy most commonly describe many daily episodes of an need to sleep that is hard to overcome. This is more likely to occur in passive situations such as when sitting or in a lecture or meeting, and can be overcome by physical activity such as moving. However, usually the feeling of a need to sleep becomes stronger over time and unless people have a nap or sleep, they may find themselves falling asleep uncontrollably. Cataplexy: Episodes of cataplexy can vary widely in how people describe and experience them. They consist of brief, sudden loss of muscle tone with retained consciousness. 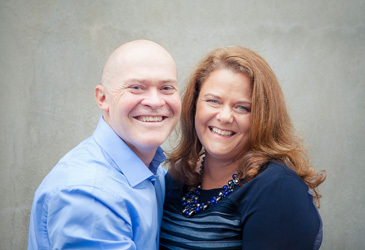 Often they are triggered by strong emotion, such as laughing or anger, and occur more commonly when people are more tired or unwell for other reasons. Some people I see only have occasional episodes of cataplexy when they are tired, whereas for others, cataplexy is one of the most disabling symptoms of narcolepsy as they can have frequent episodes every day despite treatment. Cataplexy does not occur in any other condition apart from narcolepsy, so if someone has a clear history of cataplexy, it is very likely that they have narcolepsy. Sleep paralysis and hypnogogic hallucinations: As well as losing muscle tone whilst awake (cataplexy), people with narcolepsy can experience a sense of paralysis on waking from sleep. This is usually transient and can last for 30-120 seconds. At the same time people can be aware of dream-like images in addition to being aware of their surroundings. Often people describe this as a feeling of vulnerability with a sense of a sinister presence and chest heaviness. In some cultures this has been given spiritual explanations, and was called ‘Old Hag syndrome’ in New England. In Europe during the Inquisition, the ‘incubus’ and ‘succubus’ were terms used to describe sleep paralysis and hypnogogic hallucinations. 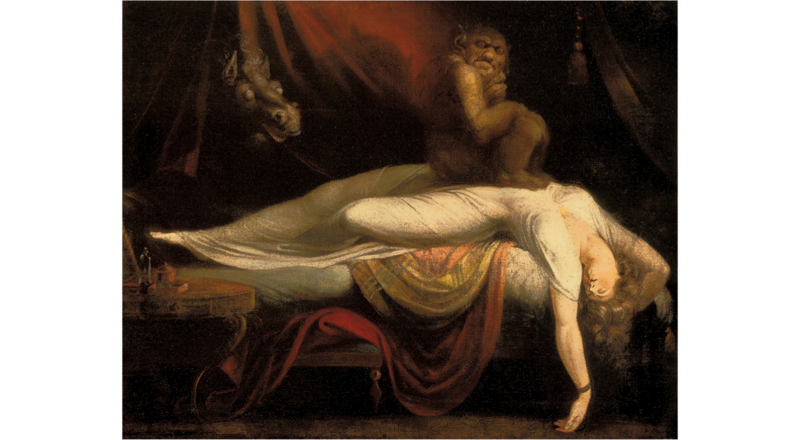 For more information on sleep paralysis see this post. Insomnia / leg movements / parasomnias: Although not key diagnostic criteria for narcolepsy, many people with narcolepsy have trouble staying asleep at night. They also experience symptoms of sleep being ‘unstable’, that is having lots of transitions from deep sleep to lighter sleep. This can manifest as movements or parasomnias such as sleepwalking or sleeptalking, night terrors, nightmares or vivid recollection of dreams. For more on parasomnias see this post, and there is more on periodic limb movements here. The biology of narcolepsy with cataplexy has now been fairly well defined. People who have obvious cataplexy as part of their narcolepsy have found to have absent levels of orexin (hypocretin-1) in cerebrospinal fluid (CSF). Further work has shown that narcolepsy seems to occur as an immune-mediated response to a trigger in genetically susceptible individuals. 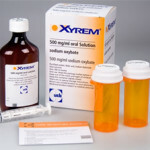 In people susceptible to narcolepsy, acute illness, surgery, stress, vaccination (particular type of H1N1 vaccination) and other factors have been shown to trigger their immune system attack orexin nerve cells in the hypothalamus eventually resulting in destruction of those cells and the onset of symptoms of narcolepsy. An ideal treatment for narcolepsy with cataplexy would be replacing orexin or orexin producing cells. Unfortunately that’s not yet a reality, but active research is currently working on that approach. For narcolepsy without cataplexy, the biology is much less clear with no clear biological tests that can be done to definitely establish the diagnosis. It may be that other neurotransmitters are involved, or that there is partial loss of orexin, as some people with narcolepsy without cataplexy have orexin levels at the low end of the normal range. In the International Classification of Sleep Disorders (3rd Edition), narcolepsy has been divided in to 2 distinct sub-types, narcolepsy with cataplexy (type 1) and narcolepsy without cataplexy (type 2). The main symptom difference between these two types is the presence of cataplexy. Test results, such as multiple sleep latency tests are often similar between the two groups, with the difference in test results being in CSF levels of orexin or hypocretin-1. In narcolepsy with cataplexy (type 1), orexin levels are typically less than 1/3rd of normal levels. At the moment, whether someone has narcolepsy with or without cataplexy does not make a big difference to treatment approach. Also, as testing for CSF orexin (hypocretin-1) is not readily available, it is not usually part of the clinical diagnostic process. However, with future treatments such as orexin replacement, differentiating between narcolepsy sub-types may become more important. There is also a lot of overlap in symptoms between narcolepsy without cataplexy (type 2) and other hypersomnias such as idiopathic hypersomnia. Our ability to differentiate between these conditions is far from perfect and there are not good biological markers, nor definite symptoms of one or other condition to clearly differentiate between them in many cases. Making a diagnosis of narcolepsy. What tests are done? 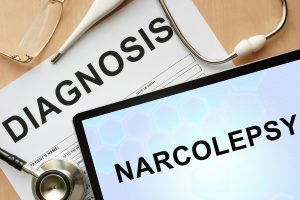 In general narcolepsy is clinical diagnosis that is made on the basis of symptoms, with the diagnosis being supported by tests, rather than tests being the main way of confirming the diagnosis. The exception is the finding of very low or absent CSF orexin levels, but this is not a test that is routinely available or done in diagnosing narcolepsy. It’s also important to look for other causes of sleepiness or narcolepsy symptoms when making a diagnosis of narcolepsy. Multiple sleep latency test (MSLT): This is the most common test used in the diagnosis of narcolepsy. It is performed in a sleep laboratory and consists of an overnight sleep study, followed by 4 or 5 nap opportunities across the following day. The time taken to get to sleep and whether people go in to REM sleep are measured. If people go to sleep in less than 8 minutes or less and go in to REM at least twice, that is felt to be consistent with narcolepsy. However, this test is far from perfect, and there are lots of cases where I feel symptoms fit for narcolepsy, but MSLT results are borderline or don’t meet these criteria. So, whilst I routinely do MSLT testing in suspected narcolepsy, I use the results together with the clinical assessment of symptoms and put more weight on the clinical assessment. I will also sometimes repeat the MSLT as it can be falsely negative. Orexin levels in cerebrospinal fluid: As discussed above, these are not used routinely in clinical practice in Australia, but if needed, a lumbar puncture can be done and CSF sent overseas, such as to Stanford for testing. However, my experience has been that if people don’t have a clear history of cataplexy, CSF orexin levels are usually in the low normal range and therefore not diagnostic, so don’t add much to the diagnostic process. However, in the future, CSF measurement of orexin and other neurotransmitters may be used more in diagnosing narcolepsy, particularly if it makes a difference to treatment options. Genetic markers: Testing for particular HLA markers can be done. There has been association seen between HLA DQB1*0602 and increased risk of narcolepsy. However, whilst this marker is more common in people with narcolepsy, it also occurs reasonably commonly (around 20%) in people without narcolepsy, so it not particularly helpful in making a confirming a diagnosis of narcolepsy. However, if someone is negative for HLA DQB1*0602 it is unlikely they have narcolepsy with cataplexy (type 1). Brain imaging (MRI): Imaging the brain is not part of making a diagnosis of narcolepsy as brain scans such as MRIs are usually completely normal. However, many of my neurology colleagues feel that everyone should have a brain MRI at some stage if they are felt to have a hypersomnia of central origin to exclude other causes such as small tumours or other structural brain defects. My personal practice is to do a scan if there are neurological symptoms that don’t typically fit for narcolepsy, or if symptoms are short-lived or changing. What should I do if I think I have narcolepsy? Many of us feel tired, or sleepy sitting quietly or during meetings, so when is it abnormal? If sleepiness has been present even during long periods where you’ve been healthy and well rested, it may be an indication that there is a sleep disorder, such as narcolepsy present. Also, it’s normal for people to experience sleep paralysis occasionally, but not normal to get it very often or most nights. If you think you may have narcolepsy, it’s worth discussing your symptoms with your doctor or health professional. Your health professional, who knows your clinical history, will look at your overall health to see if there are factors that may account for your symptoms and need to be investigated. 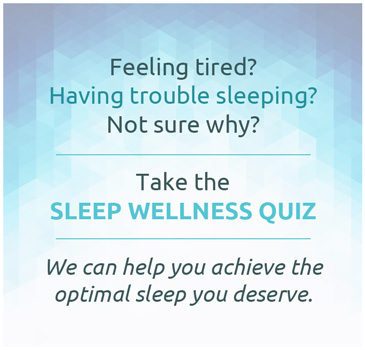 They may arrange blood tests to look for other causes of sleepiness such as low thyroid hormone or iron levels, but if they are normal and other causes for sleepiness can’t be found, then getting a referral to a sleep physician should be considered. 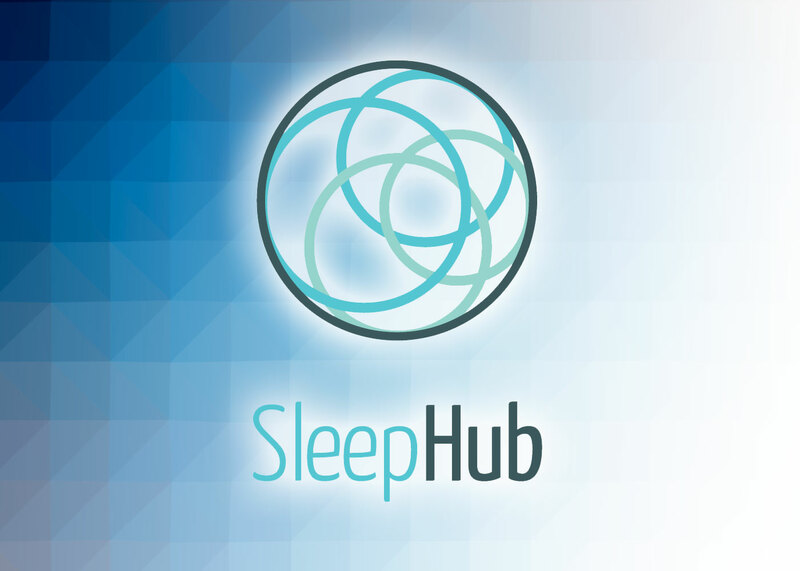 It’s best to see a sleep physician first for a clinical assessment rather than going straight to a sleep study or multiple sleep latency test. As I’ve discussed above, I find the symptoms more helpful in making a diagnosis of narcolepsy, as there are other sleep disorders that can cause an MSLT to be abnormal.